Yikes! The Enormous Crocodile is a greedy, grumptious brute who loves to guzzle up juicy little boys and girls. He’s a terrible boaster and very proud of his cunning plans and clever tricks, like disguising himself as a seesaw and a picnic bench for careless little children to sit on. Crunch! But the other jungle animals have had enough of this foul fiend’s horrid schemes – so they devise a plan to get rid of him, once and for all! Now in a wonderful hardback gift edition, this classic comic tale of snapping teeth and sharp wits is stuffed with Quentin Blake’s mouth-watering artwork. The Enormous Crocodile is quite an interesting book because it helps childeren look incase there realy is a kidnapper predentig to be your mum! A Roald Dahl classic – just amazing! I read this a lot when I was little. It’s really lovely. This is about an enourmas crocodile. Roald Dahl is probably the best loved children’s author ever, creator of iconic characters like Matilda, Willy Wonka and the BFG! Roald Dahl has won many awards for his books including the Whitbread Award for The Witches in 1983, the Smarties Award in 1990 for Esio Trot and the Blue Peter prize for Matilda in 2000. 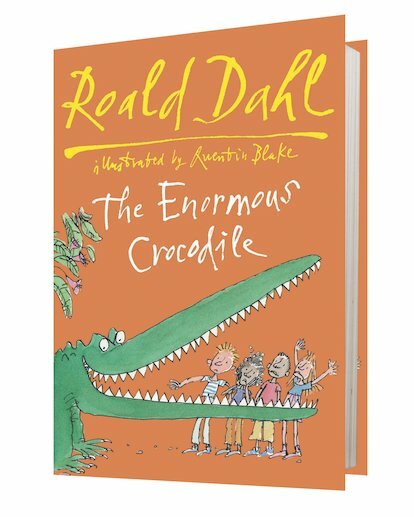 In 2008 the Roald Dahl estate launched an award in his name – the Roald Dahl Funny Prize. Quentin Blake was awarded the 2012 Eleanor Farjeon prize for services to children’s literature.